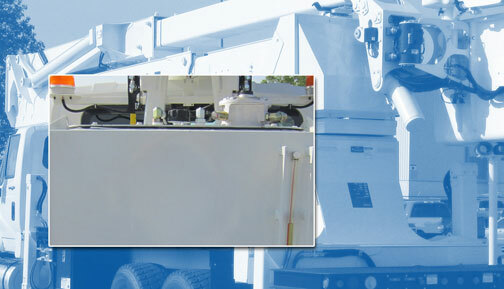 Rock Falls, IL, February 27, 2012 – The IFH Group has pioneered the use of aluminized steel in hydraulic oil reservoirs and fuel tanks for off-road and specialty vehicles used in agricultural, construction, utility and a range of other rugged off-highway applications. Aluminized steel – sheet steel hot dip coated on both sides with an aluminum-silicon alloy – is designed to economically solve the contamination problems inherent in uncoated steels by combining the corrosion resistance of aluminum with the structural strength (and lower cost) of steel. Aluminized steel reservoirs are resistant to virtually all petroleum-based and synthetic fluids while providing protection from atmospheric corrosion.